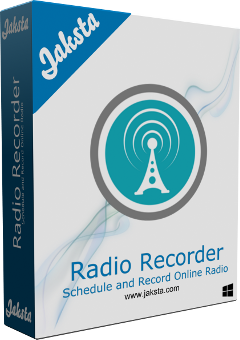 The Ultimate Recorder for Internet Radio Lovers! 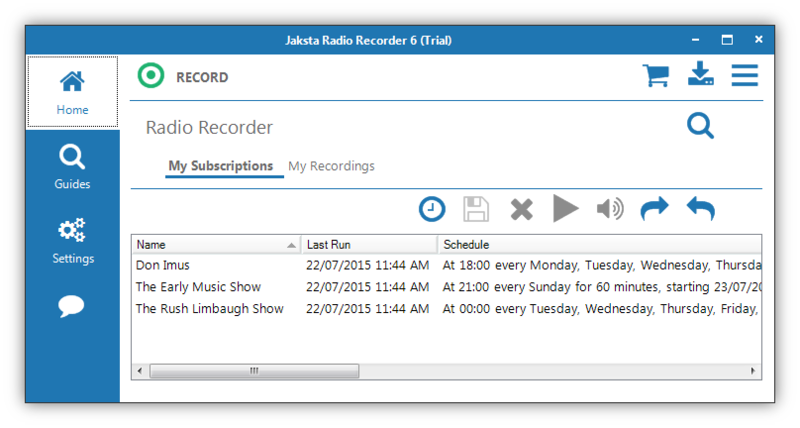 Jaksta Radio Recorder is the ultimate easy-to-use radio recorder. Just pick a show or station from the built-in guide, and it schedules and automatically records the show for you. Part of the fun of media is exploring, and Jaksta Radio Recorder's extensive Guide system gives you a world of Radio to discover. As you browse a guide, you can choose to record, schedule or tune to whatever you find. It's powerful, convenient, and most of all - fun. Every Jaksta product comes with a 30 day money back guarantee. Order now with full confidence. Normally $19.95, but order now for a special offer. Record multiple shows at the same time. Scheduler records radio shows unattended. Guide makes it easy to choose shows, stations and podcasts. Record to MP3, FLAC, OGG, M4A, WMA, WAV.